Apple’s 2018 iPad Pro is the most significant update to the product line since its first release back in 2015. 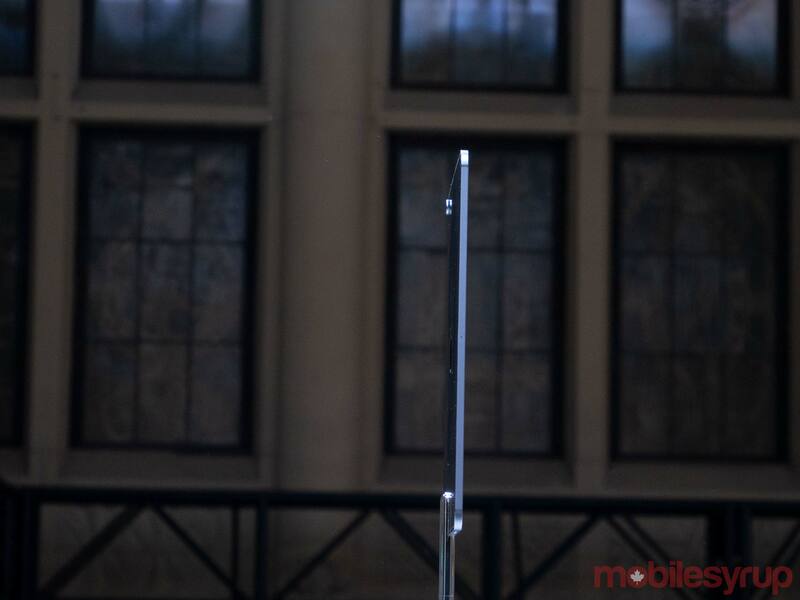 The Cupertino, California-based tech giant revealed the new device during its fall hardware keynote in New York at the Brooklyn Academy of Music. While the new MacBook Air was likely the highlight for most longtime Apple users, the revamped iPad Pro includes many worthy upgrades too. To start, the new Pro includes Face ID instead of Touch ID, though I wasn’t able to test the feature out. This allowed Apple to make the iPad’s bezels significantly slimmer. 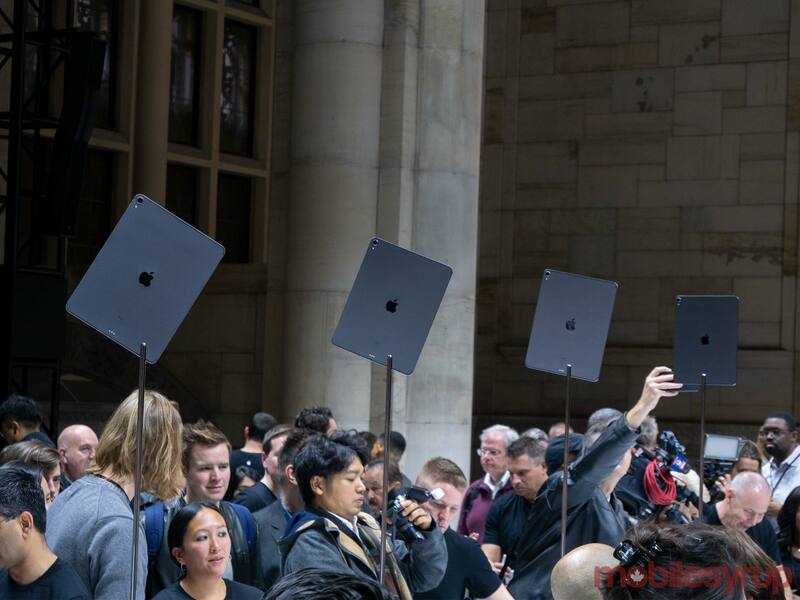 The new iPad also doesn’t feature a display notch like some predicted, with Apple instead opting to include just enough bezel to add the iPhone XS’ facial recognition technology and front-facing camera. 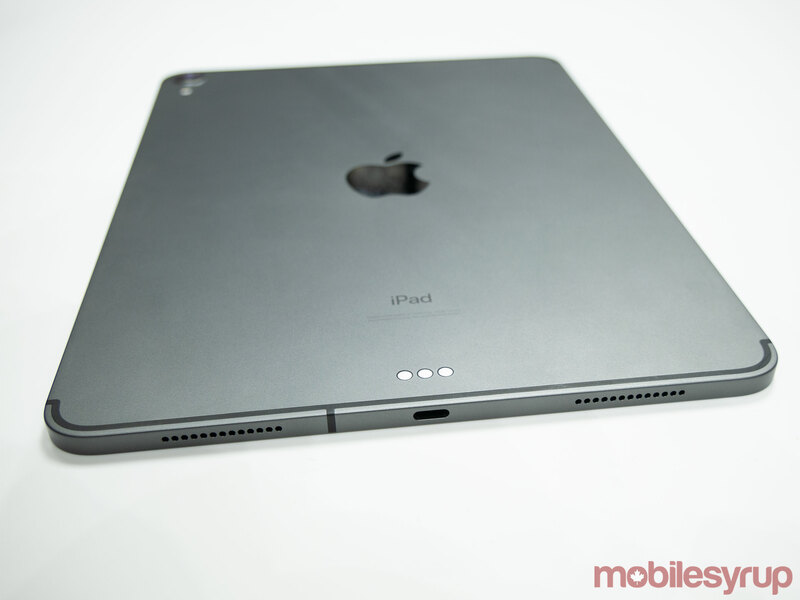 Similar to past versions of the tablet, the device comes in 11-inch and 12.9-inch variants. Given the minimized bezels, the 11-inch display fits in a body that’s roughly the same size as the 10.5-inch iPad Pro. The larger 12.9-inch model, on the other hand, feels much smaller than its predecessor, at least at the outset, measuring in at about the same size as a standard sheet of paper — this is something Apple also pointed out during its keynote. I’d even go so far as to say that the 12.9-inch iPad feels like the size I might choose now, unlike the previous bulky 12.9-inch version model. The new iPad Pro’s display itself looks identical to last year’s 10.5-inch iPad Pro screen and features the same 264ppi as other Retina versions of the iPad. 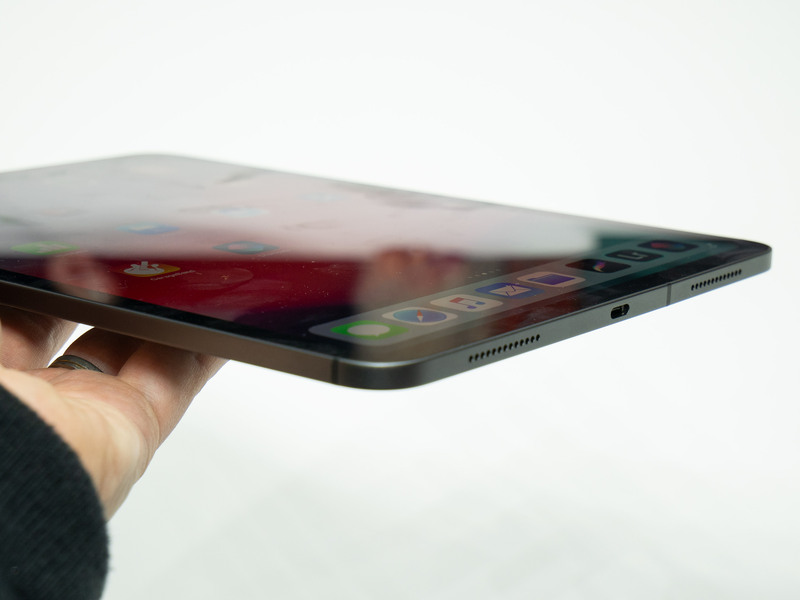 The one change to the screen most people will note is the fact that Apple has rounded the corners of the new iPad Pro’s Liquid Retina LCD display similar to the iPhone XR. 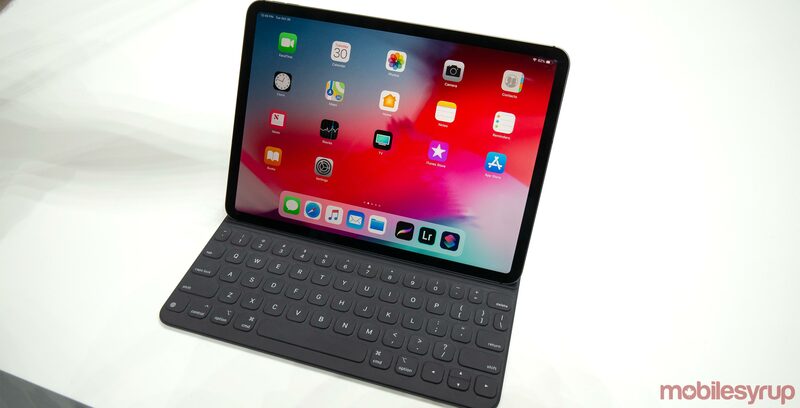 This means that the new iPad Pro still features an LCD display and not the more modern OLED technology found in the iPhone XS and iPhone XS Max. Regarding build quality, the new Pro almost feels like a throwback to the iPhone 4 era thanks to its rectangular, squared off sides. While some might not be fond of this design shift, I think it’s great. It gives the new Pro a unique look that helps it stand out from its predecessors as well as the iPhone XS and iPhone XS Max. The most controversial shift this time around is the fact that the new Pro no longer features a standard 3.5mm headphone jack, a fact Apple didn’t mention during its keynote. It’s unclear why Apple opted to ditch the standard jack, but it’s something I plan to ask the company during my briefings later this week. It’s doubtful Apple can state that it ditched the headphone jack to make more space inside for other components given the tablet’s size in comparison to the iPhone. On a more positive note, Apple has made the jump to USB-C with the new iPad Pro. This means that the new iPad Pro is capable of outputting to external displays in both extended and mirrored mode, which is a useful feature, especially for photo editing. It’s unclear what specific USB-C accessories the new iPad Pro will be compatible with, but it’s likely Apple will block the use of most of them, unfortunately. That said, Apple has confirmed to MobileSyrup that some external storage solutions. For example, most USB-C SD card readers should work with the new iPad. As soon as I get my hands on an iPad Pro review device, I plan to plug in as many dongles as possible to test out the port’s compatibility. 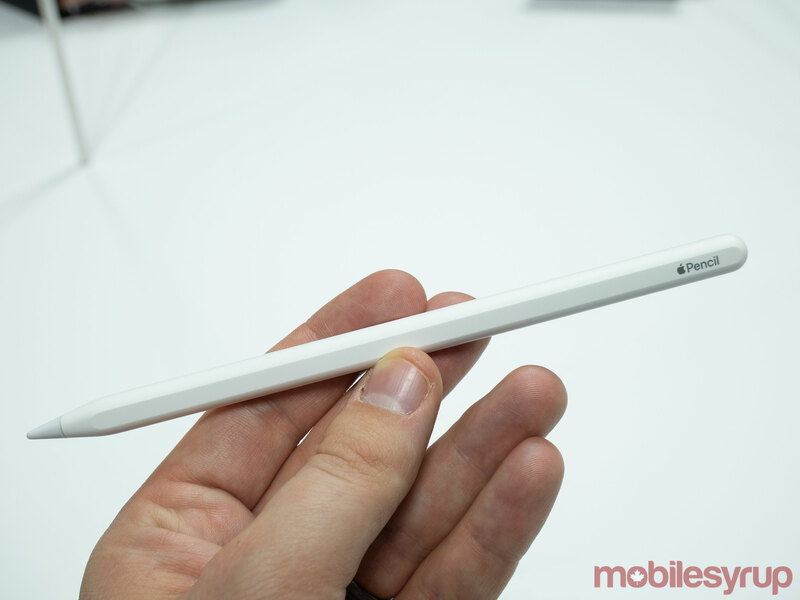 Apple also revealed a new Apple Pencil that includes a more rectangular design reminiscent of an actual pencil, as well as a less smudge-attracting matte finish. While I didn’t test the feature out, Apple says that the new Pencil is capable of charging wirelessly and can also attach magnetically to the side of the iPad Pro — similar to the way the stylus connects to Microsoft’s Surface devices. Further, the new Apple Pencil includes a new double-tap shortcut that switches the stylus from pen to eraser mode. 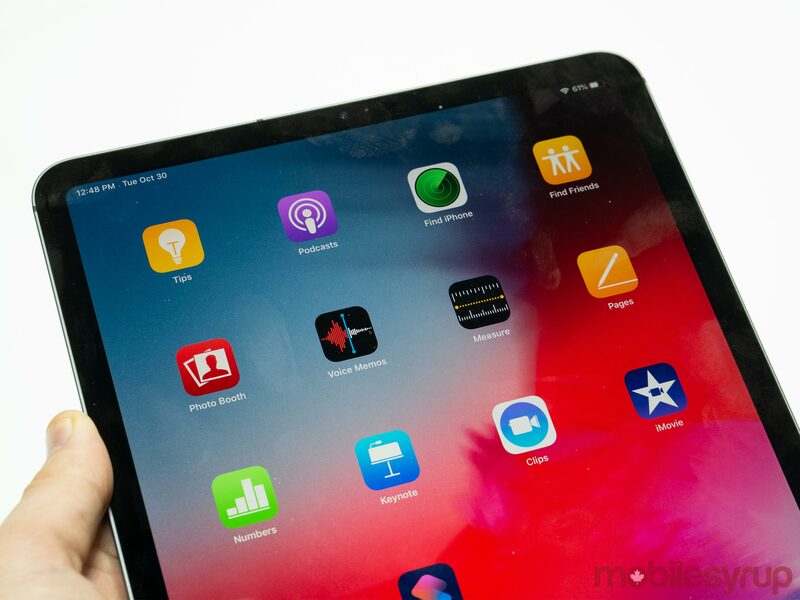 Apple says that the feature can be remapped to activate other functionality, though again, I wasn’t able to test out this feature during my brief time with the 2018 iPad. 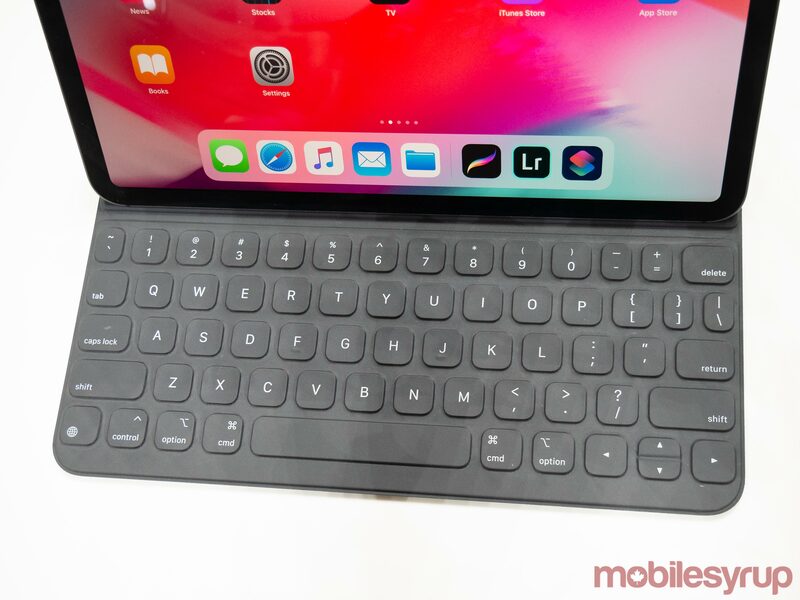 Finally, Apple has also changed the iPad Pro’s Smart Keyboard slightly. The Smart Connector on the Pro has been shifted to its base, giving it a more solid feel and also protecting the back of the device when folded up. Because of the Smart Keyboard, Face ID also works in landscape mode, according to Apple. It’s unclear if Face ID works in landscape mode as well as it does in portrait, but this is a feature I’m hoping to spend more time testing out when I get more hands-on time with the tablet. We’ll have more on the new 2018 iPad Pro in the coming days including a full review of Apple’s new tablet. Both are available to pre-order now and go on sale on November 7th. Update 10/31/2018: The story has been update to reflect that the iPad Pro does work with some USB-C with external storage solutions.